A different viewing platform in the OR requires some adjustment. By S.K. Steven Houston III, MD. NGENUITY 3D digital surgery for retina. How it has changed the way I operate. Some doctors may prefer keeping their profession separate from their personal lives, but that’s not the case with the physicians at Florida Retina Institute (FRI). 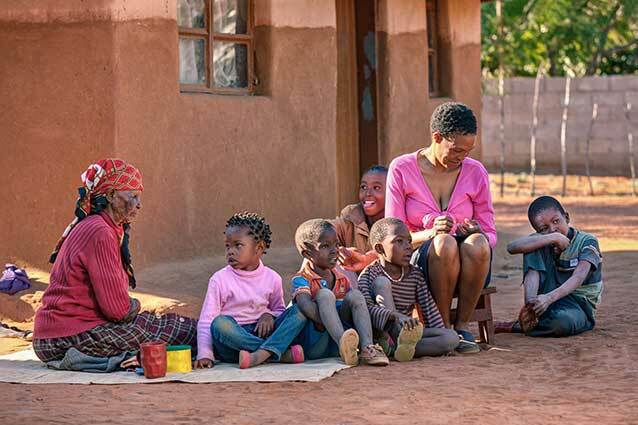 The author finds that even short trips to provide care for underserved communities can have powerful effects. By Benjamin J. Thomas, MD; with Matthew A. Cunningham, MD. 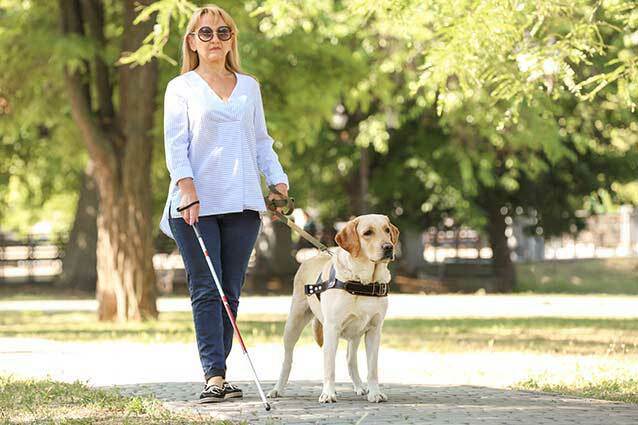 Millions of people around the world suffer from retinal degenerative diseases at varying degrees of vision loss including complete blindness. 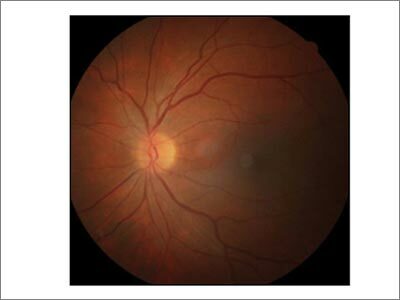 Retinal degenerative disease is a debilitating condition with a major impact on daily life. Global provision of adequate medical care is an immense challenge, and one of its greatest inherent obstacles is the unequal distribution of healthcare workers and resources. Check in at the front desk with the receptionist and kindly present your insurance card. You will need to fill out some easy health history and general information forms, which you can download, print and prepare before your appointment from your home by visiting the new patient forms page. A technician will then review these forms with you. Every year on March 22nd is World Water Day, #WorldWaterDay. World Water Day is about focusing attention to the importance of water. Staying hydrated throughout the day by drinking water or eating water-rich foods is crucial to stay healthy and maintain the function of your body, your heart, your brain, your eyes and muscles. 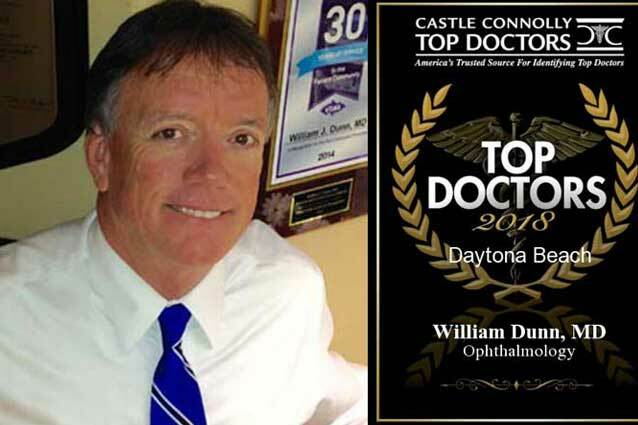 Castle Connolly Medical Ltd., America's trusted source for identifying Top Doctors, has selected Daytona Beach's Ophthalmology specialist Dr. William Dunn for inclusion in its highly selective list of Castle Connolly Top Doctors this year. Dr. William Dunn is recognized among Castle Connolly Top Doctors® for Daytona Beach, FL region in 2018. 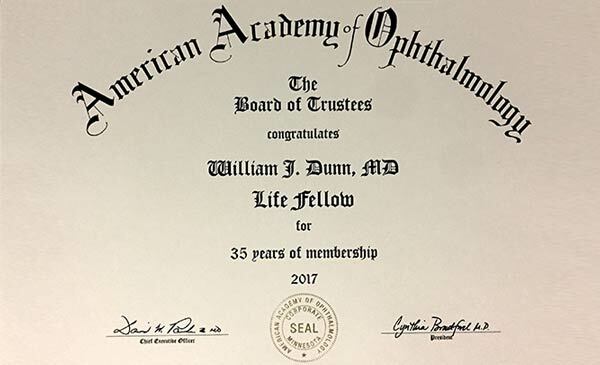 Volusia County Medical Society (VCMS) News: Member William J. Dunn, MD, FACS, CHE received the Life Fellow Award by the American Academy of Ophthalmology in 2017 for over 35 years of continuous and uninterrupted service and membership in the American Academy of Ophthalmology, and its sister group, Eye-Care America. Our Central Florida based Team of Doctors were featured in Orlando Magazine's December 2017 Finest Doctors issue. Florida Retina Institute: Was founded in 1979 by James A. Staman, MD. Since then we have grown tremendously with 19 locations throughout Central Florida, North Florida, and Southeast Georgia. We have proudly delivered Excellence in Patient Care for over 35 years. 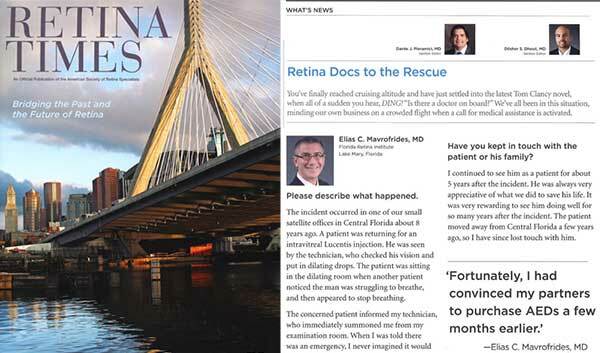 Elias C. Mavrofrides, MD, featured in RETINA TIMES, an official publication of the American Society of Retina Specialists (ASRS), Meeting 2017, Issue 70, Bridging the Past and the Future of Retina. The incident occured in one of our small satellite offices in Central Florida about 8 years ago. A patient was returning for an intravitreal Lucentis injection. 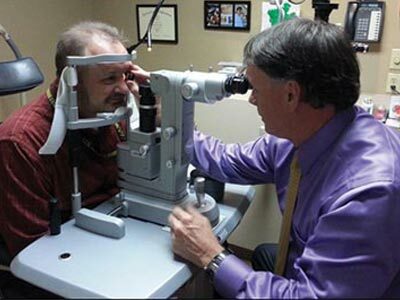 He was seen by the technician, who checked his vision and put in dilating drops. The patient was sitting in the dilating room when another patient noticed the man was struggling to breathe, and then appeared to stop breathing. 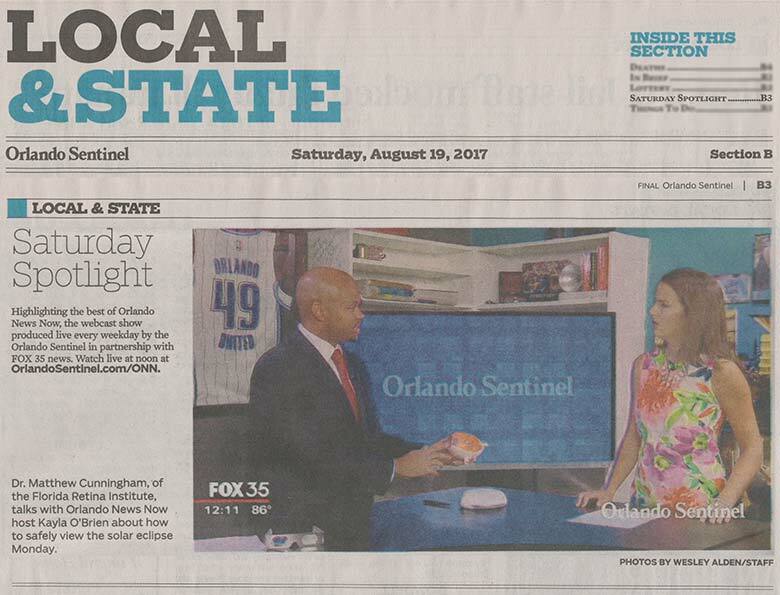 Dr. Matthew Cunningham was invited by the Orlando Sentinel to discuss the dangers of watching the solar eclipse without proper eyewear. Recently our Doctors have heard the following question from patients a lot. "What kind of eye protection should I get and wear during the upcoming solar eclipse? 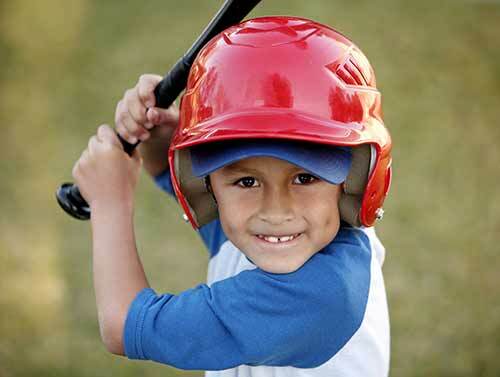 How can I protect my eyes from possible damage?" Although Florida is not in the direct path, Floridians are in for a real treat in the sky this summer. On Monday, August 21, 2017, the nation will experience a total solar eclipse, dubbed the Great American Eclipse for its North American path, lasting approximately 2 to 3 hours. What makes the eclipse on August 21 so special is that it will cut diagonally across the United States. 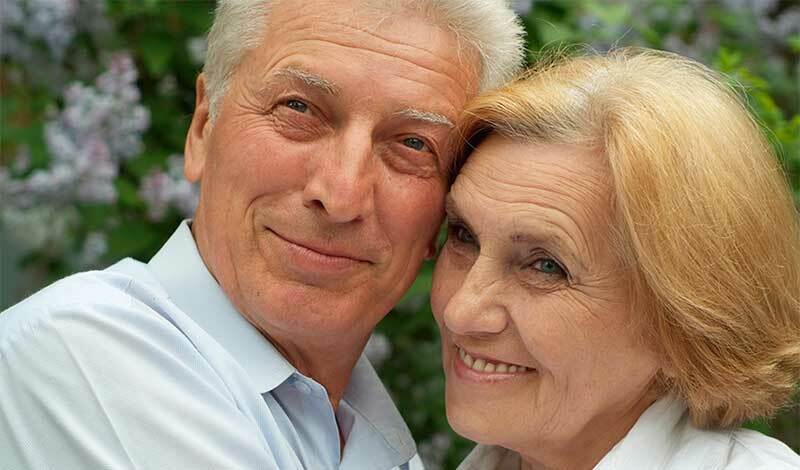 As you age, the health of your eyes becomes more of a priority. With time, you tend to become more susceptible to common eye issues, like glaucoma, cataracts and even age-related macular degeneration. Macular degeneration can greatly affect the way you go about your daily life. Knowing what to look for, and working with trusted eye care professionals, can put you on the path to maintaining good eye health for years. Biosimilars: Not Your Typical Generic. 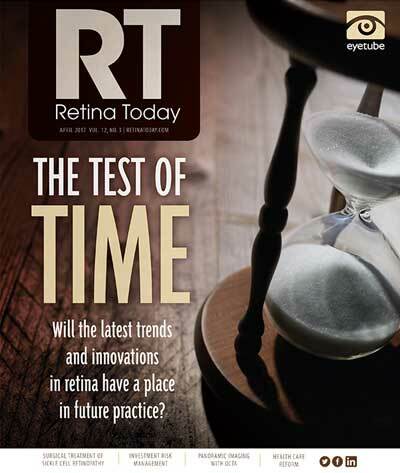 April 2017 Retina Today: Article by S.K. Steven Houston III, MD Although the role for this category of medicine in retina is not yet clear, cost will likely be a significant factor. The Apple iPhone and Range Rover Evoque are well known and successful products. Wanting to claim a part of that success, other companies have come out with their own versions of each of these products. 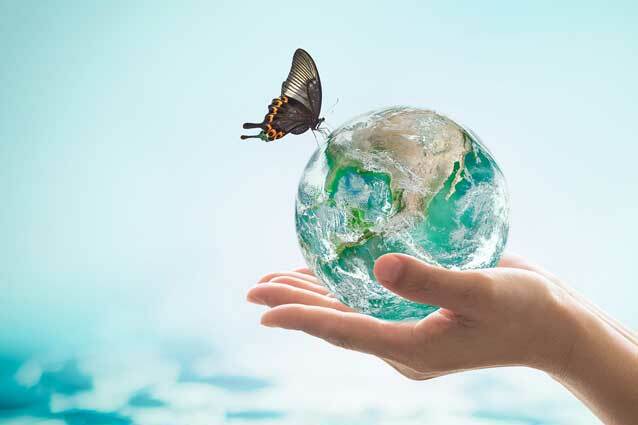 In the world of ophthalmology, the anti-VEGF drugs ranibizumab (Lucentis, Genentech) and aflibercept (Eylea, Regeneron) are also well known and successful products, and now companies are developing anti-VEGF biosimiliars in attempts to get a foothold in the anti-VEGF market, currently valued at $7.5 billion and predicted to grow over the coming decade. This article looks at the anti-VEGF biosimilars arms race and examines what effect it may have on the ophthalmic industry and profession. 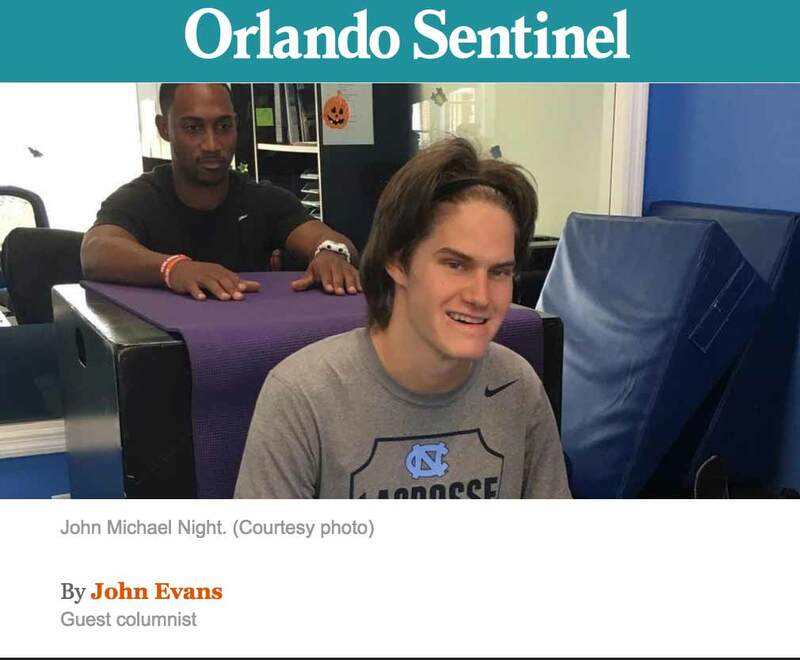 John Evans, Guest columnist, Orlando Sentinel. The ancient Greeks said that life was like walking backward, with the present unfolding over the shoulders, and with a good view of the past. Who knows what the future brings? So it was with John Michael Night, who one year ago today, was walking into a surprising future as he took his seat in class as a senior at Trinity Prep. Noticing an irregularity in thought, the scholar/athlete soon found himself at the hospital, unable to move anything but his eyelids. The first two reports of macular holes—by Knapp in 1869 and Noyes in 1871—were both traumatic in etiology.1,2 Since these early reports, however, our understanding of traumatic macular holes (TMH) has lagged somewhat behind our understanding of the more common variant, idiopathic macular holes, particularly regarding appropriate intervention. Unlike idiopathic macular holes—the pathology of which is almost purely due to vitreomacular traction, and for which pars plana vitrectomy (PPV), with or without peeling of the internal limiting membrane (ILM), yields a closure rate of 85 to 100%3—TMH results from tractional forces that are more complex and more abrupt in nature. Daytona Beach News Journal: Congratulations to Doctor Dunn! December 26, 2015 — Congratulations to Doctor Dunn! Dr. William Dunn, of Florida Retina Institute, received the President’s Volunteer Service Award from EyeCare America. 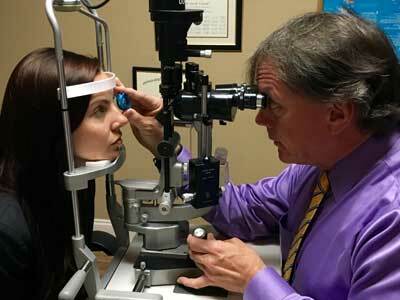 Doctor Dunn has practiced eye care in Daytona Beach for 25 years. 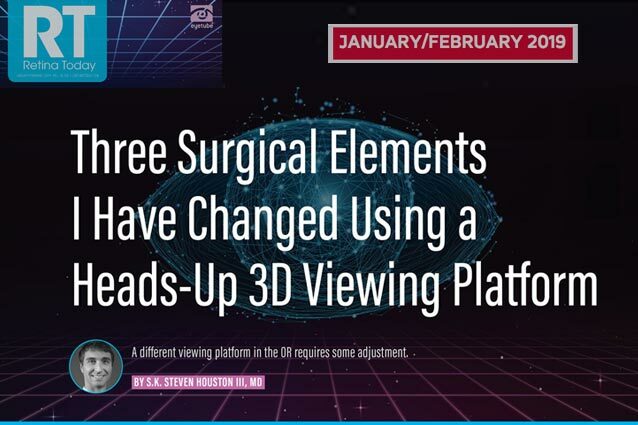 Knowing the bells and whistles of a particular vitrectomy platform widens surgical potential and increases confidence and safety. 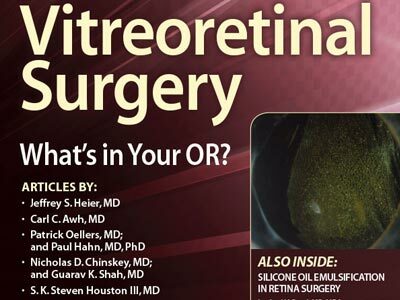 I recently completed a vitreoretinal surgery fellowship at Wills Eye Hospital in Philadelphia, Pa., where I had the privilege to operate 5 days a week over the past year with 15 talented vitreoretinal surgery attendings. Never again will I get the chance to perform 1200 surgical cases in 1 year and gain surgical proficiency so exponentially. The lessons, techniques, and skills learned have been indispensible to my career. Much like my car, I got behind the wheel of the Constellation Vision System (Alcon) for 8 to 10 hours each day, getting to know the ins and outs of the machine. Verify that the floaters are stable and ensure that the patient has realistic visual expectations. 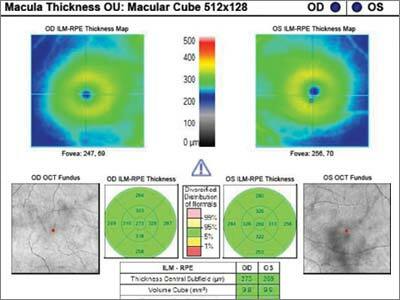 A 56-year-old certified ophthalmic technician presented for a comprehensive eye examination. He was complaining of persistent vitreous floaters in both eyes (left worse than right) for at least 10 years. Due to their large size, the floaters interfered with his visual acuity and caused obstruction of his central vision in the left eye; they were especially apparent when he read or used the computer. The patient said he could briefly improve his vision by making rapid head and eye movements in an attempt to cause the floaters to move away from his visual axis. He denied seeing flashes, a curtain over his vision or recent trauma. The patient’s medical history was significant for osteoarthritis, fibromyalgia, hypertension, asthma, coronary artery disease, splenectomy and Raynaud’s syndrome. He was taking the following medications once daily in the morning: aspirin 81 mg, lisinopril 5 mg and meloxicam 7.5 mg.
Best corrected visual acuity measured 20/20 OD and OS. Pupils were equal, round, reactive to light and without afferent defect. Extraocular motility was full in all gazes in both eyes. Visual fields were full to finger counting in both eyes. Florida Retina Institute — A Lake Mary Life "Focus Story"
"Watching	a	Florida	sunset’s	shifting	shades	of	red,	admiring	a grandchild’s	finger-painted	portrait, gazing	upon	a	loved	one’s smiling	face,	or	reading	the	last	line	of	a	beloved	book	–	for	more than	15 years,	the	skilled	doctors	of	the	Florida	Retina Institute	have been	helping	our	friends and neighbors	with	failing vision	see	life’s precious	moments. 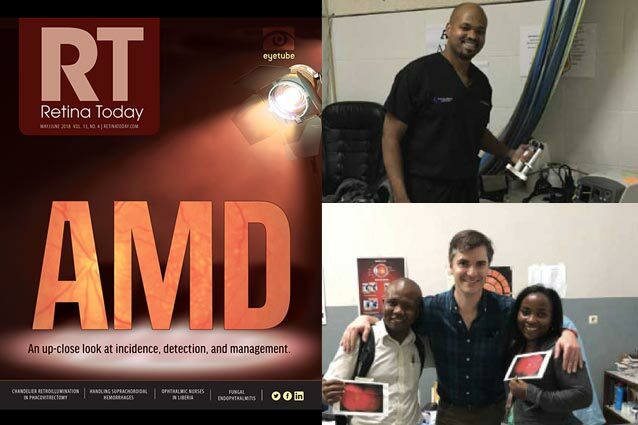 No	group	of	retina	specialists has	been serving the Lake	Mary/Longwood	community	longer,	and	no	one	stays	more up-to-date	on	the	very latest treatments	and	techniques. The	Institute	specializes	in	diseases	or	injuries	of	the	retina	–	a	light-sensitive	membrane	in	the rear	of	the	eye	that	acts	like	a	video camera,	capturing	and	transmitting	images	to	the	brain. If that’s	the most	down-to-earth	description	of	the	retina	you’ve	ever	heard,	it’s not	a	coincidence	at Florida	Retina	Institute. In	addition	to	their	remarkable	credentials,	Drs. Barnard,	Mavrofrides,	and	Cunningham	have something	else	in	common	−	they	all live	in	Lake	Mary. 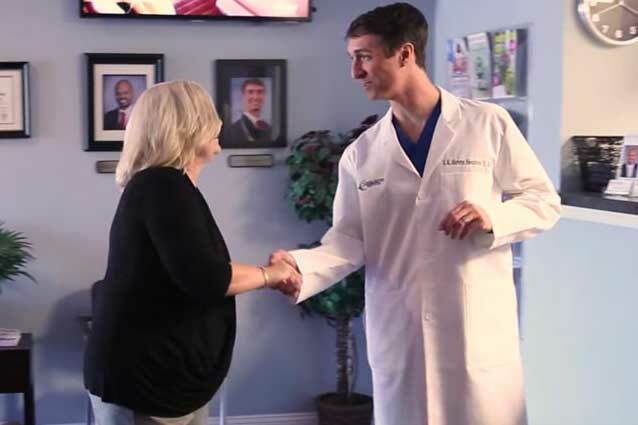 Doctor's at	the	Lake	Mary	office, which	relocated	from	the	original	Longwood	location	in	2004, perform	their	modern	miracles	in	an atmosphere	of	extraordinary	care	and	compassion. Doctors and	staff	help	patients decipher	their	insurance	plans,	educate	them about	their	eye	conditions, and	help	them	adjust	to	a	new	lifestyle	if	they	become	legally	blind. The	Florida	Retina	Institute	also	supports	a	host	of	eye-related	charities	throughout	Florida, including	the	Lighthouse	of	Central Florida	and	the	Lions	Club	International. A retired colonel	in	the	U.S.	Air	Force,	Dr.	Dunn	has	a	history of	helping	others. For	more	than three	decades	he	cared	for servicemembers’	vision	while	practicing	advanced	retina	and	vitreous disease	surgery. 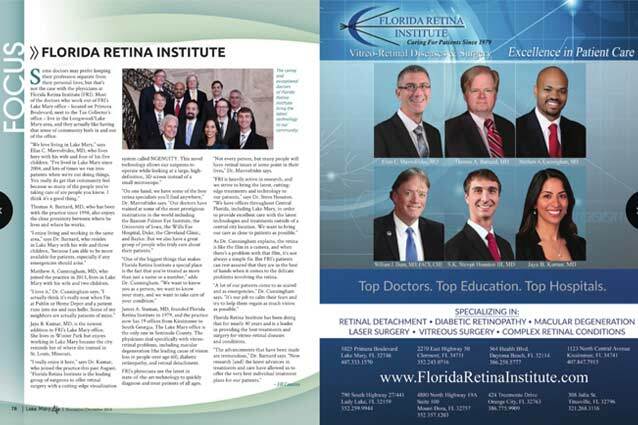 Florida	Retina	Institute	is	often	the	choice	of	other	local	doctors	when	they	need	retina	treatment for	themselves	or	members	of	their own	families,	so	it	should	come	as	no	surprise	that	the Institute	is	staffed	by	a	dream	team	of	physicians. 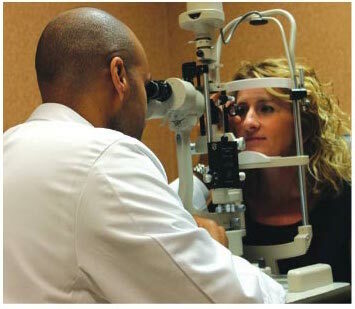 Article by Peter Reilly, Lake Mary Life, Photo: Dr. Cunningham demonstrates an eye exam with the help of Nicole Winn. 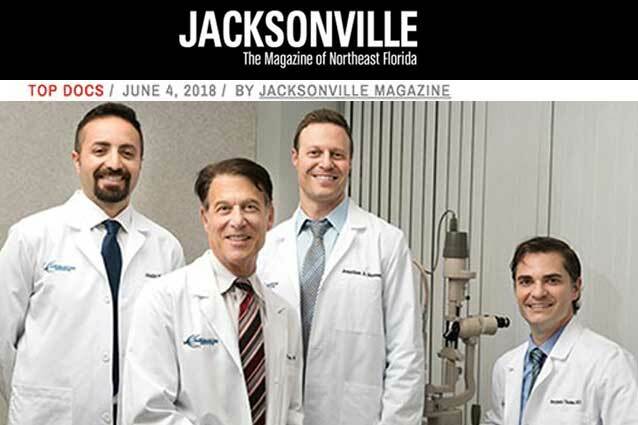 The Florida Retina Institute's Doctors Mavrofrides, Cunningham and Barnard are chosen as Orlando’s finest 2013 and highlighted in the Orlando Weekly. Board Certified Retina Specialists — Whether caused by illness or injury, retinal conditions should be treated by a skilled physician. Drs. Elias C. Mavrofrides, Matthew A. Cunningham and Thomas A. Barnard at FLORIDA RETINA INSTITUTE are regionally recognized experts in the evaluation & treatment of retinal disease & injury. They specialize in diseases & surgery of the retina and vitreous, including macular degeneration, diabetic retinopathy, laser surgery, retinal detachment, macular surgery, penetrating eye injuries, ocular tumors & inflammatory eye disease. The doctors and their staff have a long history of working with patients with visual difficulties and are sensitive to their needs. They are all committed to making certain that you are comfortable and confident about your surgery and follow-up care.